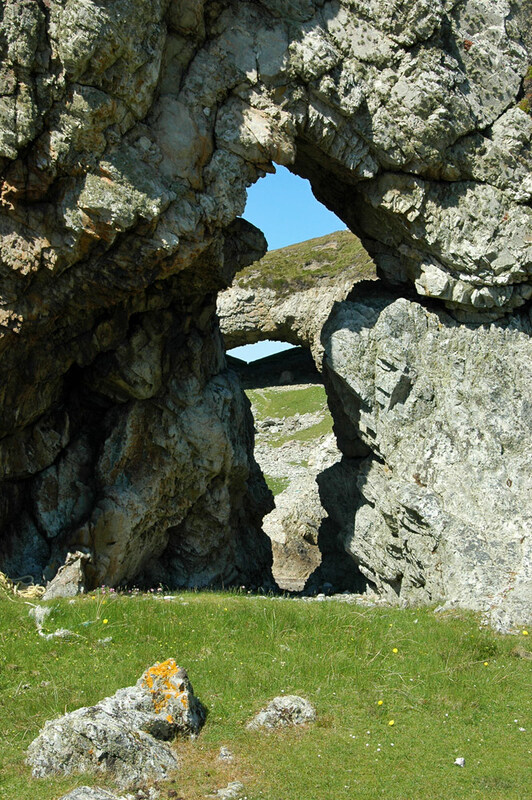 The remote north of Islay is littered with natural arches, in particular the area around Bholsa. Here is an attempt of a view through two of them at once. I love your photos. At my second glance I thought to myself, My but that rock in the front looks just like a dog laying down on the grass. Now that you mention it, indeed, that really reminds of a dog laying down!